@alvin - I purchased a pair of 800s for last summer. After a lot internal debate based upon the sizing info shared on here, I decided to size down two (31 to 29). Although the pant more or less stretched out to accommodate a snug 31 waist, the top block, specifically the horizontal section that runs the length of the button fly, did not stretch as much as the waist. Long story short, I will eventually blow out the literal crotch of the pant. The stitching around the fly is coming undone. The jeans are regretfully regulated to house wear as that blowout would be a rather embarrassing situation in public. This is in no way an indictment on the construction of the jean. I still believe the denim to be some of the most superb I have ever come across. My advice is to not size down two sizes. One size you may be able to pull off depending on how you wear the jean. Personal moral of the story: size as you would normally. If you don't like the other proportions of the pant at your proper waist size, it wasn't meant to be. @blueroute thank you for the information. Just took delivery on these, very impressed. The fabric feels heavier than the normal banner denim, maybe closer to 15/16 oz.? 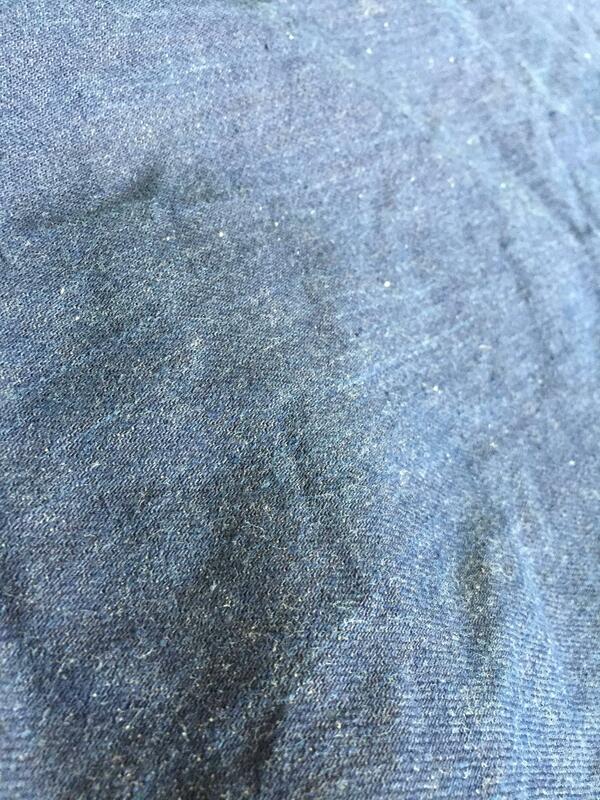 The denim has a very nice shade of indigo, not super light like some natural indigo I've seen before and some nice streakiness to it too. 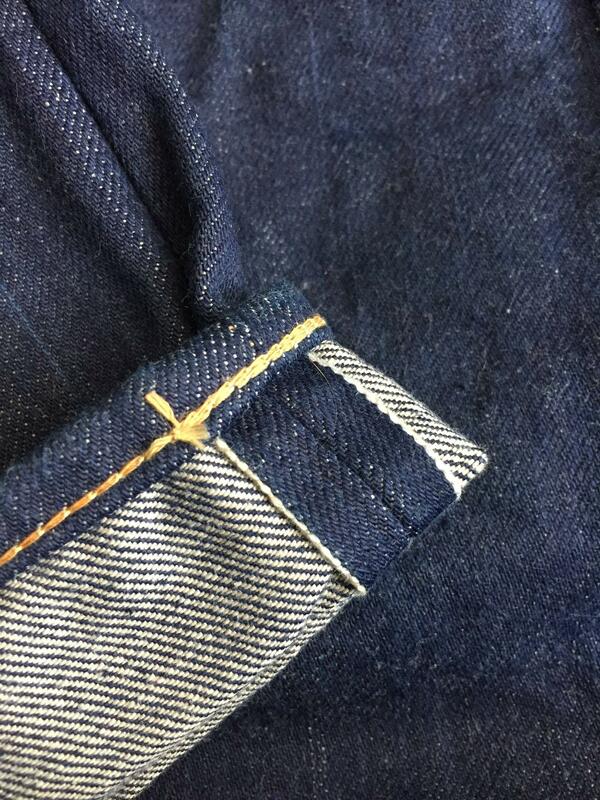 The weft is almost a beige/natural color, and the selvedge looks very unique. Usual Warehouse details here: offset rear belt loop, red faux-tab embroidery, stamped rivets. 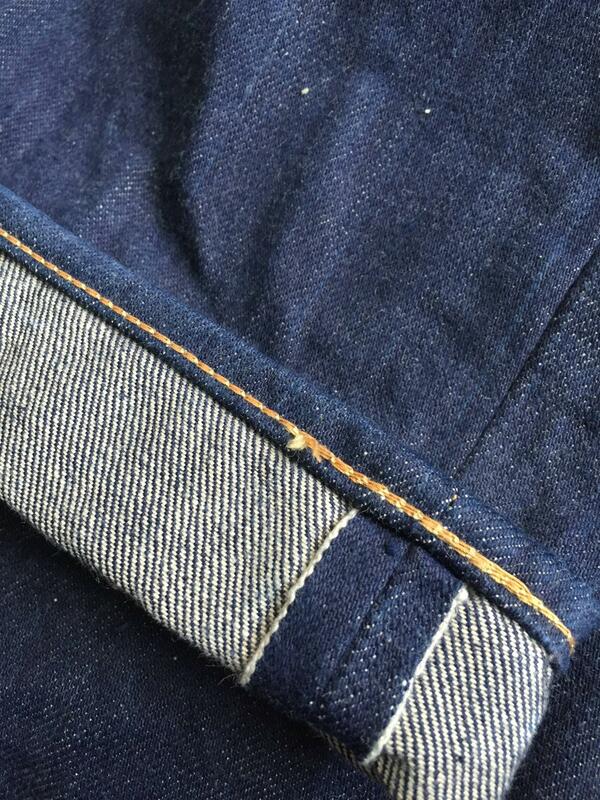 The size of the chainstitch hem is very nice, and I like the variation of color stitching used. These came one washed and while the patch states the inseam is 32 it's much longer than that. The patch is very soft, not sure what kind of leather it is. Never felt a patch like this before. Just out of interest, what was the model you have been pining for? Not sure if it was my vague mention a page or so ago that you're referring to, but that pair I had in mind is a Lee x Warehouse WWII Cowboy...Outside of that, what I'd been wanting for years was a 1004XX, which I was able to get last year in a limited store run on a trip to Tokyo. Not sure if those ever hit online, but definitely my favorite pair from WH from details to denim fabric! ^ Andrew, what's the 1004 cut like? 1004XX is a 1937 cut, so it's going to be looser in theory. 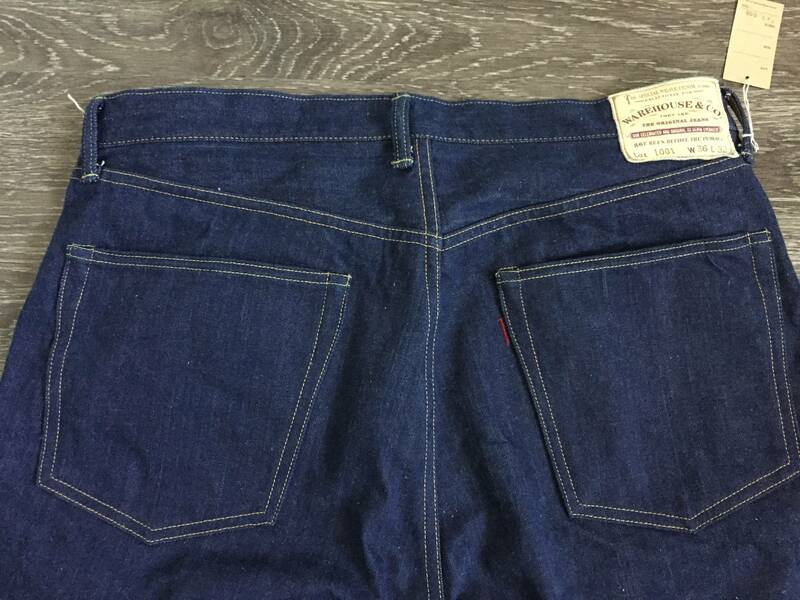 That said, in 2011, there was a 1004XX slim model (15th Anniversary denim, "native" arcs). The 2015 pair can be slim depending on how you size; I've seen a few slimmer fits on the WH blog around the time they originally came out around this time last year. Post a fit pic Aho! Sorry, these are sitting tight in my "Archive" and won't be getting any wear (keeping them tagged/raw)! For ever? Not even a little fit pic for us just to show them? Got my 900's from Caliroots. 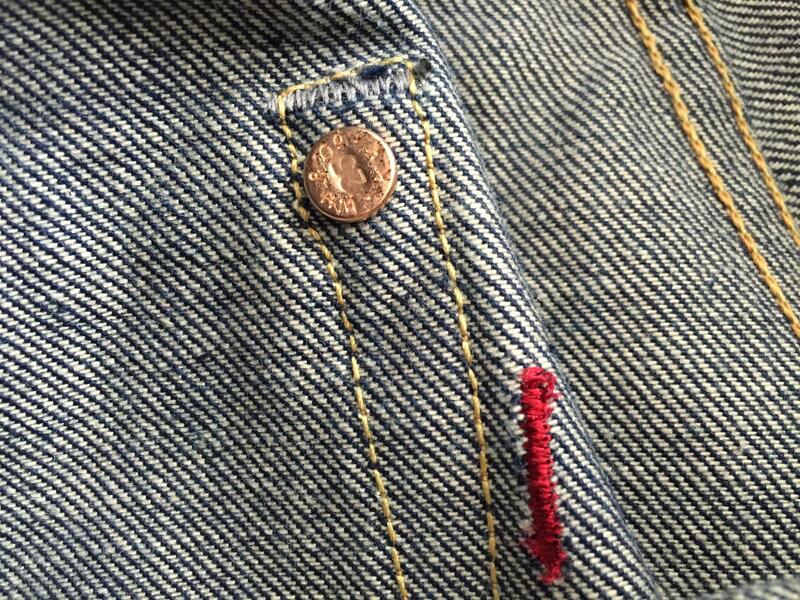 To confirm they have the red stitching at back pocket, denim pocket bags and the 34inseam. Did a 30C soak yesterday and have them on today. After initial panic buttoning up they are pretty perfect. Good slim tapered fit. Exactly what I wanted. Will post measurements later if anyone interested. 800s not slim enough for you b_F? Personally I do not find the 800's slim. These 900's def are slim without being skin tight. Prob a tad slimmer all over than my Resolute 710's. Early days too but I think the 900s fit better than my Resolutes. Did you also post about your Resolute? Can't remember right now. I've been thinking about the 800s for a while now, just not sure if they have the thigh room in a size 32. After stretch I'd need about 13" (BiG style). I find the 800 comfortable as almost no other cut I know, but still they maintain a somewhat slim look. Hard to describe, but they feel so good that I skipped my plans to wear the 710-DMO in winter. (And they also start to get some marbling. I want to see where that road will lead). Edit: 13" thighs on 32 seems a bit too much in the 800. I think my 34 is around that. I have the Resolute 710 in a w34 l36 and the w36 l36... Ideally I reckon I would need a w35 in Resolute. As the day goes on I am really liking these 900's. Will put up some measurements tonight. I think you might be right about the deer leather, never felt anything like it before. Almost feels like cloth! Going to wear these today, should try and take some photos. They feel almost a little more wide compared to my 1001XX's. Well then please also add some measurements for your size 34 Resolut 710. @Maynard: Yeah 13" on the 800 for a size 32 is too much I think. My are now around 13" but they are size 34. If that's the case, then even the 1000XX wouldn't work for you in a size 32 (and I seriously doubt that's the case). I'm willing to bet you can get away with a little smaller thigh measurement than you realize. 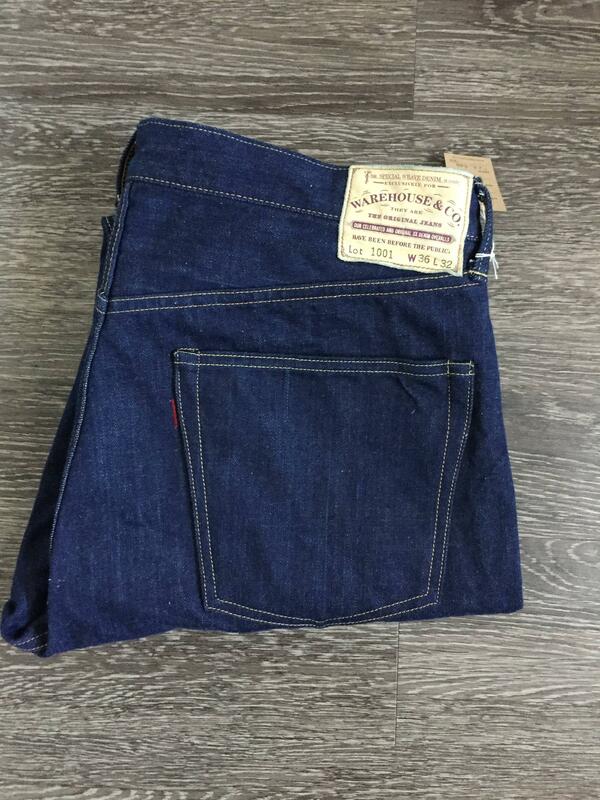 What size do you wear in your Ande Whall Buffalo's? 31, they currently measure 13" between washes. I gave my (size 32) Warrens a wash yesterday and the thigh on them measures 12.5" without further wear. It will stretch back to 13". My FC 0105SFS (current wearers in size 31) measure 13.25". Do they fit tight? Have you ever tried the Caribou? Looking at Ande's measurements of that model in my size (36), if you can wear the a 32 in it, you should be fine with the 800. 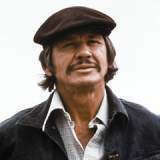 Also, I see Son of a Stag stocks the 800 (and a lot of other Warehouse jeans). I can't imagine they're located too far from you, are they? Would be nice having a store within three hours of me where I could go to try jeans on before buying. 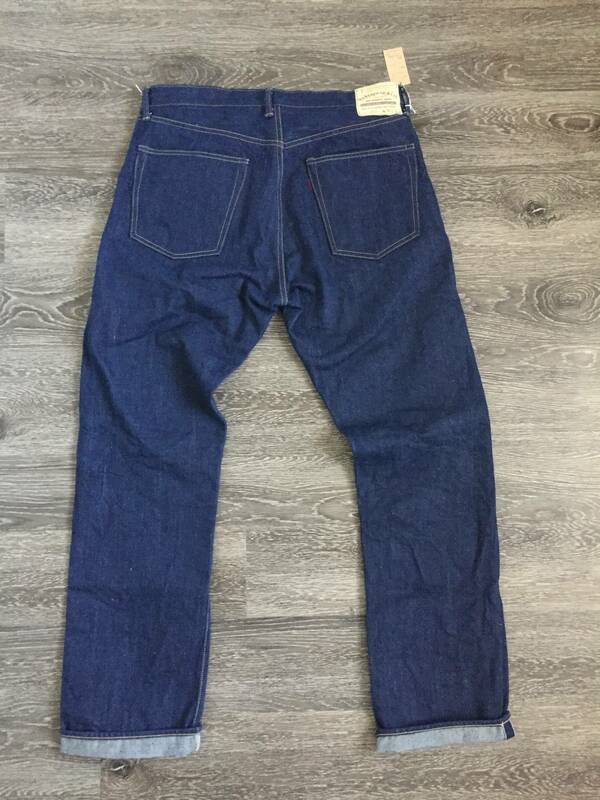 A few WH related items: picked up a pair of 660's that I may have finally got my sizing dialed in on, not much to show right now but I'll sure to keep everyone posted. 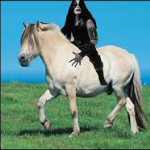 Also, heads up for my leg of the 1001XX tour, the jeans are currently en route. Can't promise it'll be the most exciting of times but I'll do my best to post regular updates. Thanks setterman, I think those 32 Caribous would be too tight in the thigh and a little loose on the waist. Funny you mention Son of a Stag, it was 5 minutes from my old office and I've had many pairs of jeans hemmed on their Union Special. At their prices I won't be buying any jeans though so that's a no-no! Really happy with the fit and the denim. Glad I got them now. 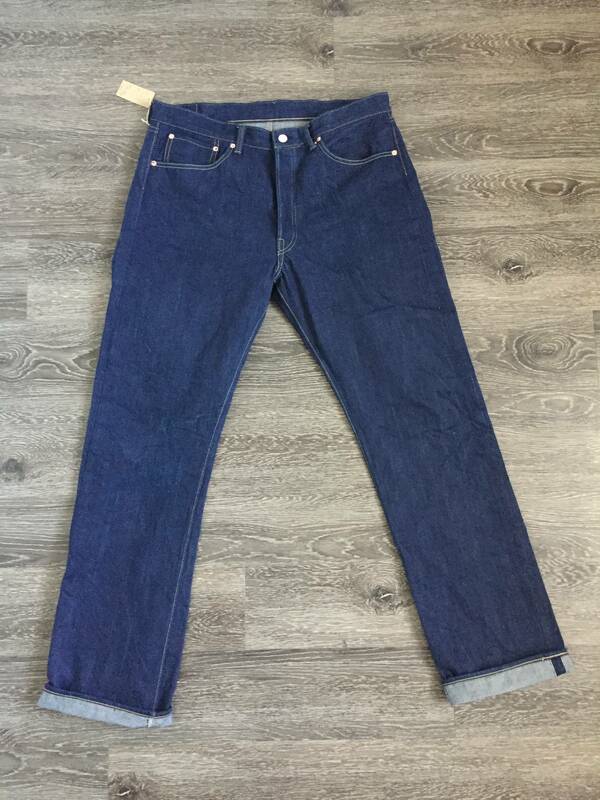 AFAIK all Warehouse jeans use deerskin patches; the difference here is the finish. I wore the natural indigo 1001's all day today and they definitely feel wider than my 1001XX's. I know they came one wash, but I'm considering giving them a hot wash and a trip through the dryer. The inseam is much longer on this pair than the 32 mentioned on the label, I found that interesting.